Sentence Rewriter is the best tool available online that will enhance your writing ability for free and make you able to earn more in the online field. There are many ways to make online and writing articles, or blog post is one of the best freelance business in the online field. As it is the best way to earn money, therefore there is a lot of competition in this due to which a writer always has to come up with something unique and knowledgeable. 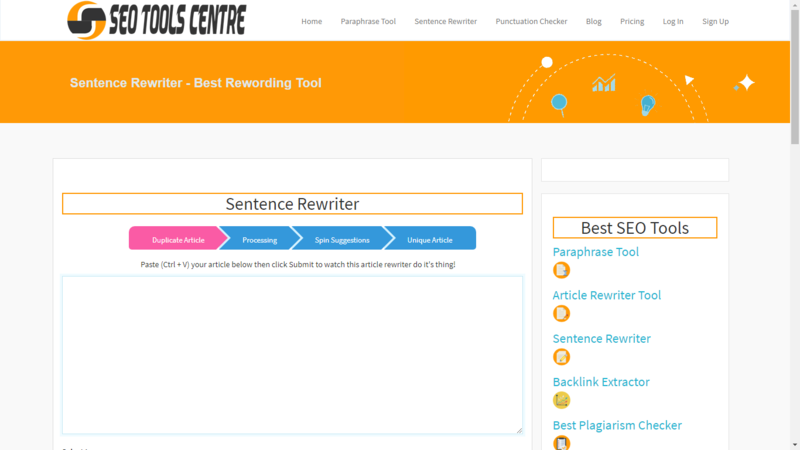 You can also use our best paraphrase tool to paraphrase your whole article or a sentence or a paragraph. It is the best tool that allows rewriting your sentence with flexibility. It will help you to make your article attractive and informational for the readers. Why use sentence rewriting tool? There are many reasons to use this fantastic tool. Millions of people in the world are related to writing jobs and use different tools to create unique and grammar mistakes free article. This tool will create unique contents for you instantly and make you able to post a high-quality article on your site that will increase your viewer's interest and automatically increase your importance in search engines that will positively affect your income. There are numerous other reasons behind using online paragraph rewording tool. Like it is the most simple and easy to use tool among all article spinner tools available in the market. It gives result in seconds which help you create more and more unique contents for your site in no time. It is free to use tool that makes it more appropriate for use, and it is 100% reliable that means it gives a result that will not harm your site. How does sentence rewriting work? It works on some simple circumstances to provide you quality work. When you paste, an article that you want to rewrite, it starts analyzing the sentences and paragraphs, after that it finds the better word pair for the sentences to make them unique. 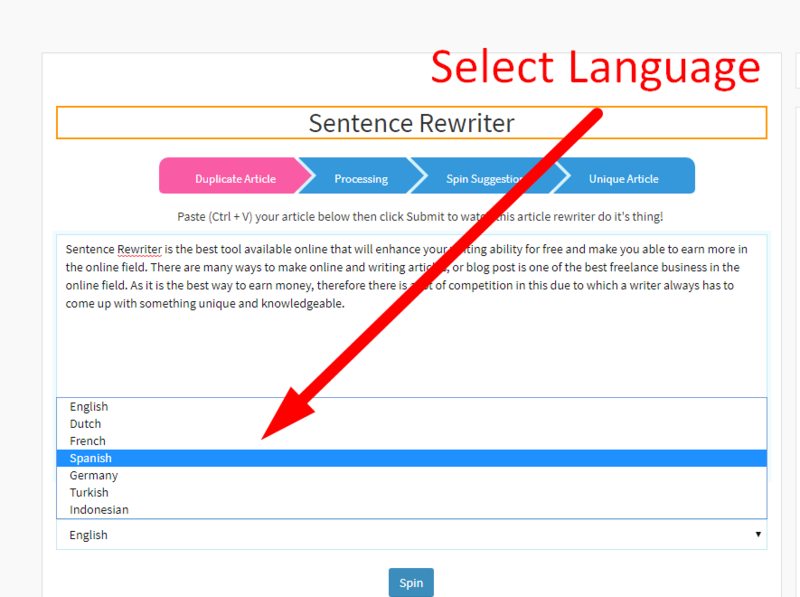 This tool has millions of synonyms that you can select to make your article more readable and unique according to your requirement. 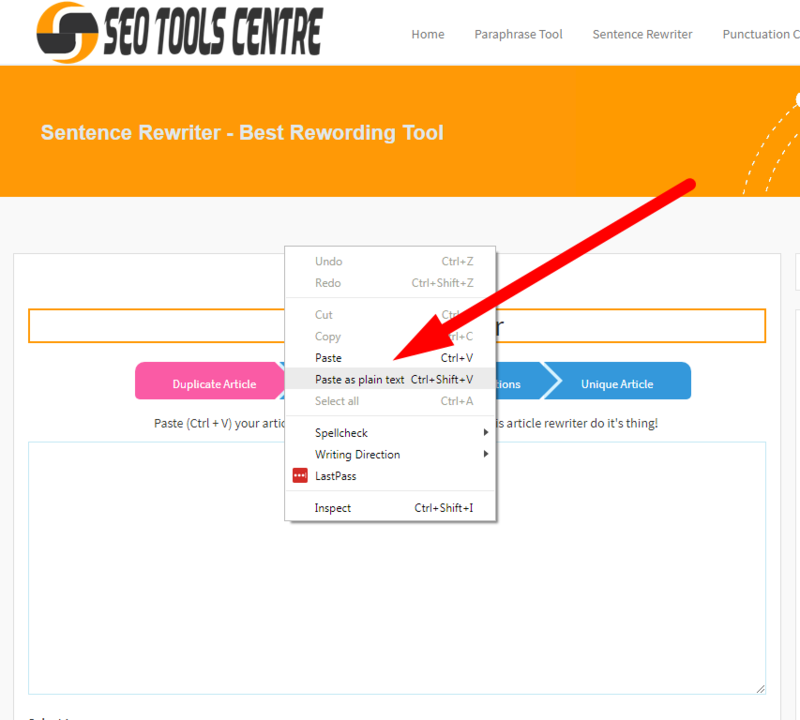 How to rewrite the sentence using seo tools centre? 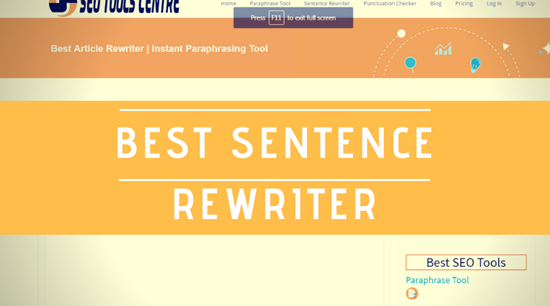 It is very easy to use this free online sentence rewriting tool. 1. Just copy the text or sentence or paragraph that you want to rewrite. 2. Paste your sentence/paragraph into the given box in the tool. 3. Press Enter or hit the "rewrite sentence now" button. 4. Wait for some seconds. It will instantly start giving suggestions according to the sentence or paragraph. 5. Then you use those suggestion to get an entirely new and unique sentence or paragraph. 6. 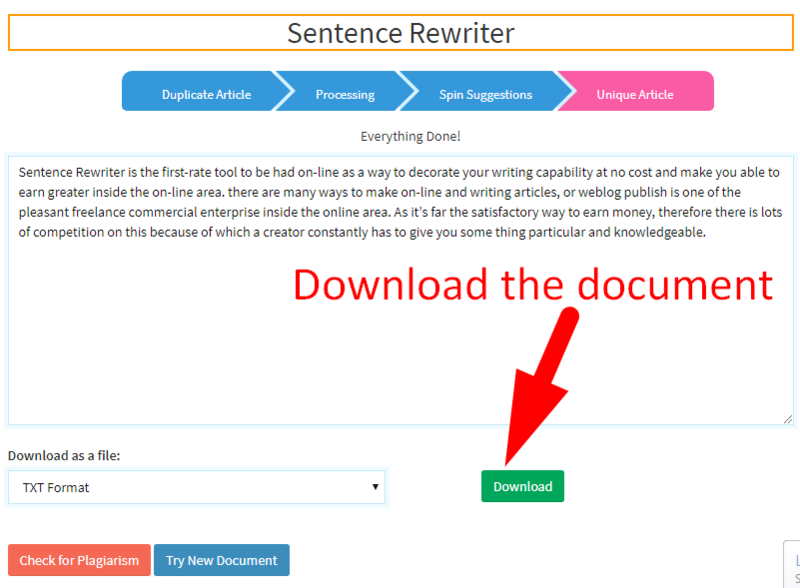 Download the final sentence rewritten or paragraph was rewritten document using the "download" button. We have added millions of new synonyms and words suggestions in this paragraph rewriter tool to improve its quality and to give a whole new experience to you. Now you can make or revise an article with more accuracy and can rewrite articles as many as you want. SEO Tools Centre is the best place to get the Tools related to SEO and freelancing that will help you to sustain and earn well in the online field.